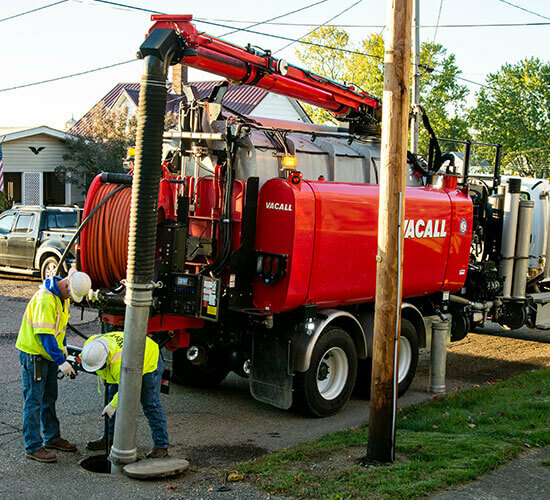 Cleaning and maintaining sanitary sewer systems is crucial to municipalities. 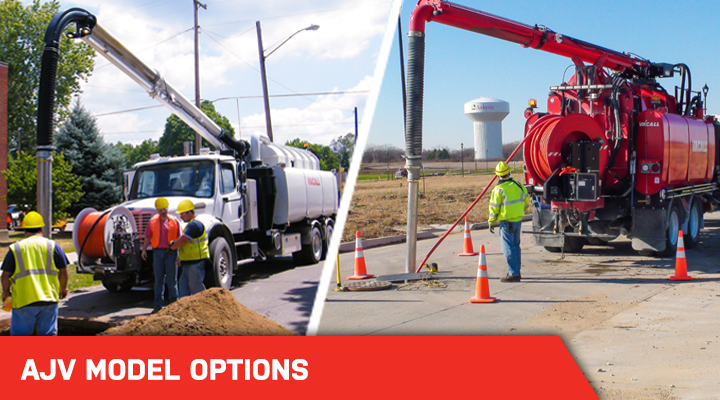 Obstructions in the line, such as roots, grease or debris, and even broken pipe and joint failures can cause major stoppages to a municipality’s sanitary sewer system, while storm water runoff can leave behind gravel, sand, leaves and other debris that will clog the storm sewer system as well. 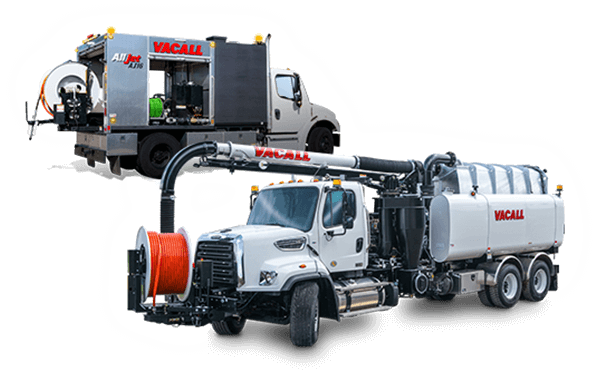 Vacall provides the equipment municipalities and contractors need to keep these systems working through routine inspection and cleaning, as well as uncovering problem areas and performing repairs. 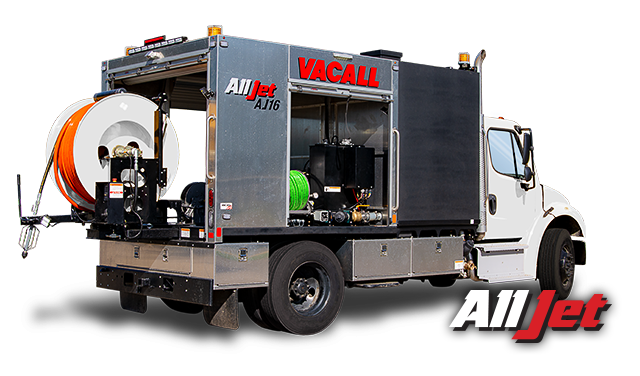 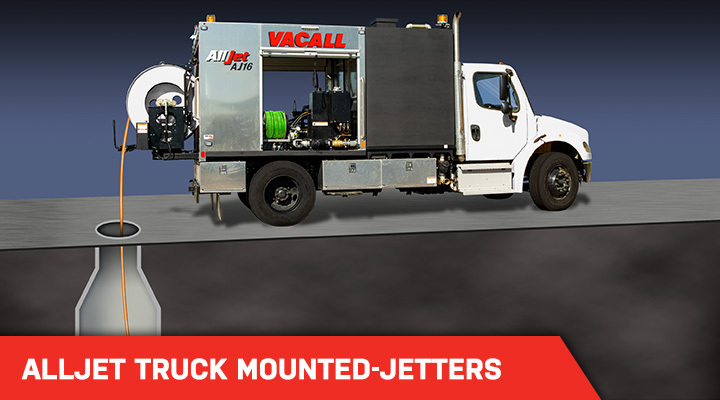 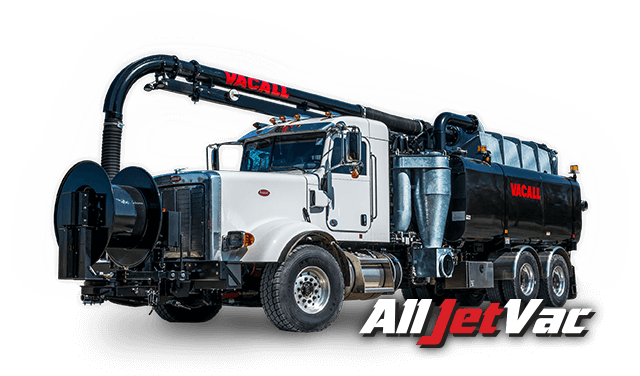 Vacall’s AllJetVac combination sewer cleaners and AllJet truck-mounted jetters are the perfect machines to handle your sewer cleaning and maintenance needs, setting the industry standard for both performance and reliability. 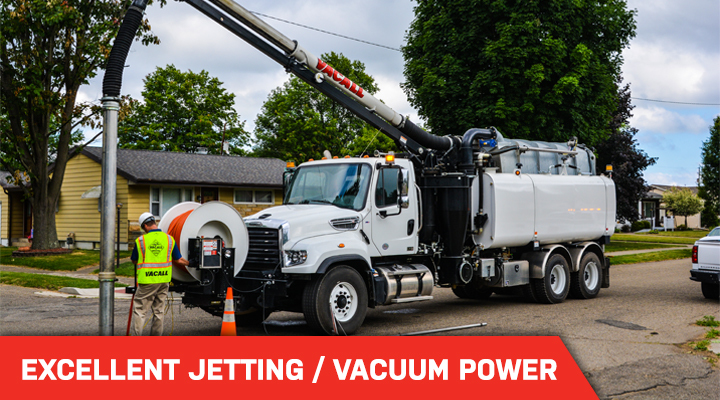 Excellent jetting action and superior vacuum power efficiently open clogged sewer lines of any size and removed the debris. 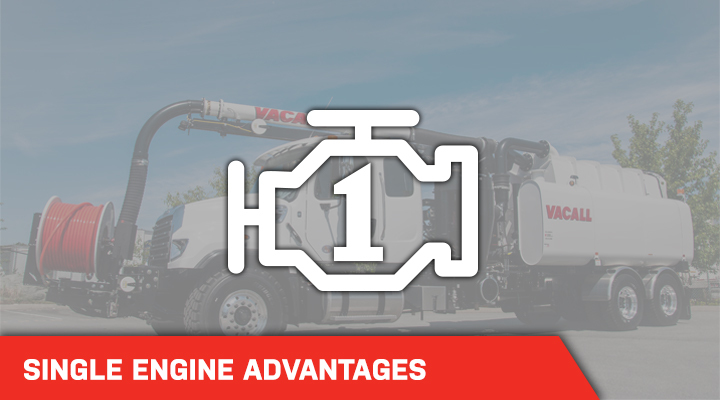 A single engine provides power for the chassis as well as jetting and vacuuming, which means less downtime for routine service on a second engine, reduced fuel consumption and makes Vacall machines a friend to the environment. 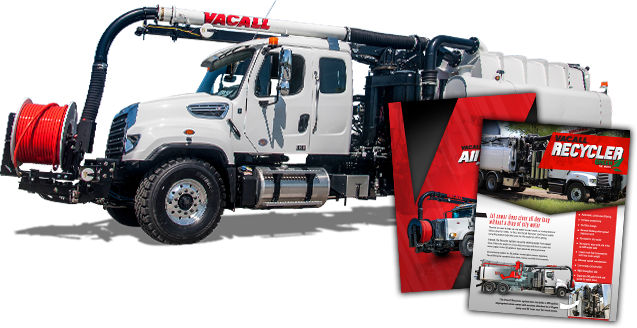 P Series features positive displacement blower system, while the R series puts the hose reel and boom system at the rear of the machine. 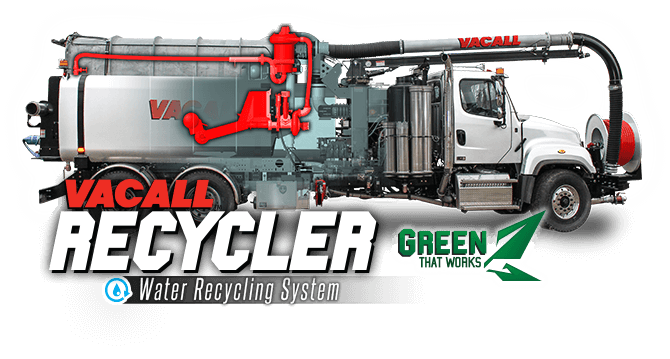 Recycler option provides built-in efficiency and productivity removing the need to stop to refill… and is good for the environment as well. 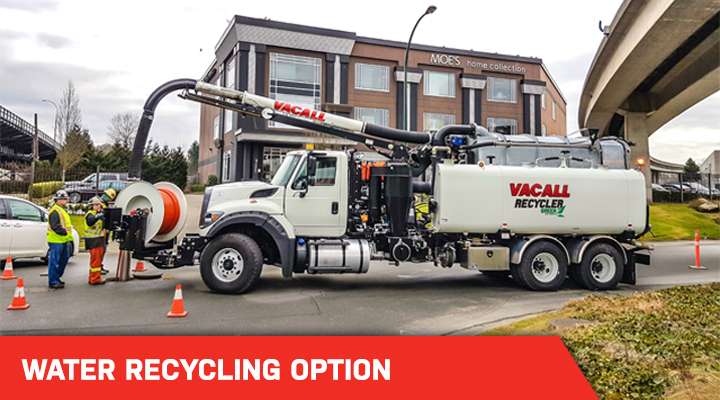 A budget-conscious option suited for jobs where wastewater recycling or jet/vac sewer cleaning is not required.